Are you planning to visit the country of art, romance and food? Don’t miss the Best places to visit in Italy, when to go and what to do. Perfect for your next trip to Europe! Visiting Capri is a nourishment for mind and spirit. The beauty and magic of this Italian island are well known all over the world! The best period to go is on Summer when you may enjoy the blue sea and the gold sand! A nice walk through the historic center of the romantic Capri, a journey by chairlift up to the summit of Mount Solaro or a romantic walk along the lanes of Anacapri. A boat trip exploring the island’s wonderful and special coastline, many hidden caves and private beaches, an history tour discovering the ruins of Emperor Tiberius’ and the amazing Villa Jovis. The island of breathtaking beauty, the art, the sea and the landscape features of this beautiful island. The Piazzetta: the smallest and most fashionable square in the world! La Capannina: traditional food of Capri, with a wonderful selection of local specialities including fresh fish and delicious mozzarella and a fine selection of wines. La Terrazza di Lucullo: contemporary Mediterranean cuisine embrace the cooking of three regions (Puglia, Socily and Campania) enhancing aromas and freshness of the locally sourced ingredients. 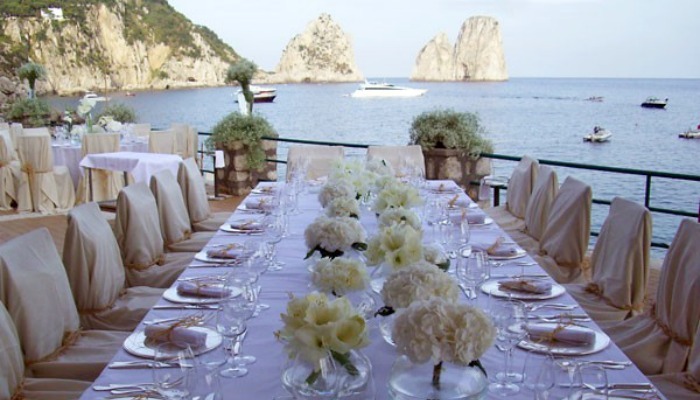 The restaurant La Terrazza di Lucullo is located within the Hotel Caesar Augustus, a luxurious 5 star establishment in Anacapri, the highest part of the island. Faraglioni: is one of Capri’s best-known restaurat, and an obligatory port for members of the international jet set visiting the island. 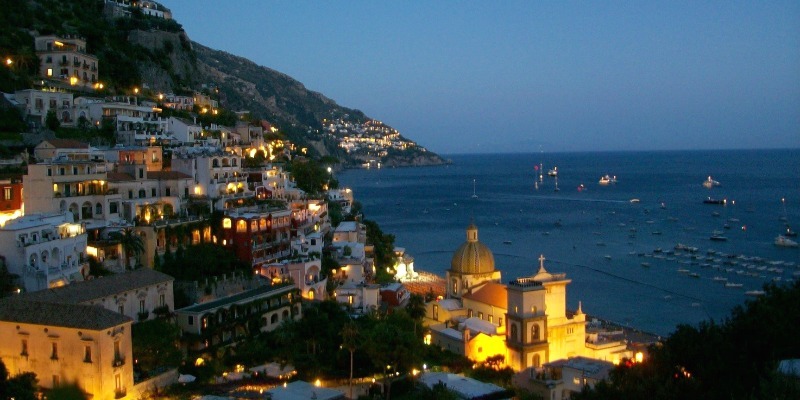 Located in the center of Capri, the island’s most famous shopping area. 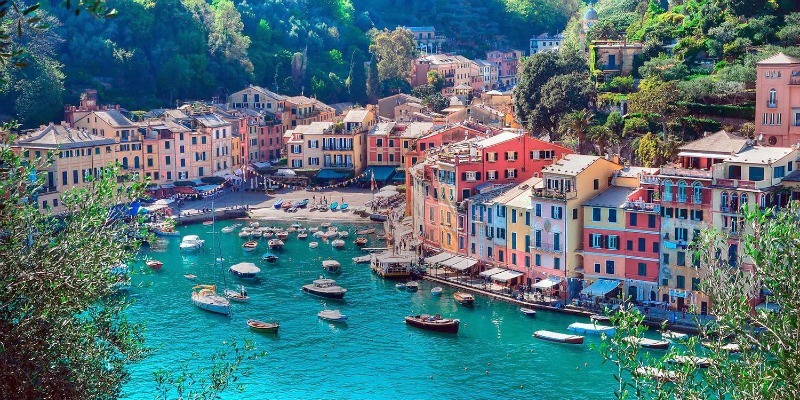 Portofino is a picturesque, half-moon shaped seaside village with pastel houses lining the shore of the harbor, sits on a peninsula in the Tigullio Golf east of Genoa in the northern Italian region of Liguria. This splendid sea resort with its lux, Mediterranean personality, also boasts an ancient marine culture, and is another one of spots beloved by artists, famous personages and writers that have long sung its praise. 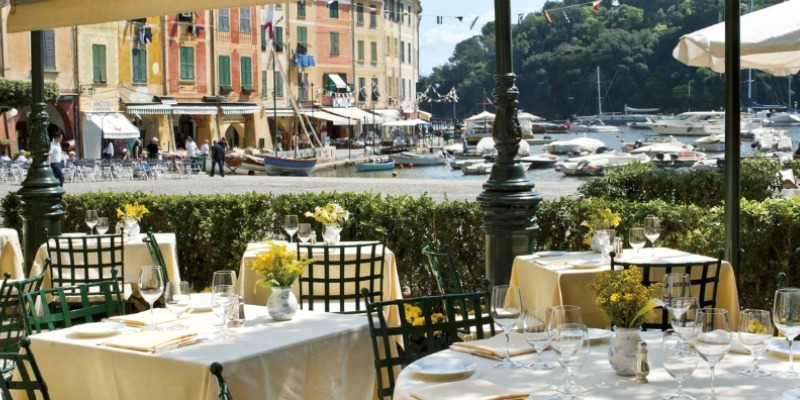 There’s not actually much to do in Portofino other than stroll around the wee harbor, see the castle, walk to Punta del Capo, browse at the pricey boutiques and sip a coffee while people-watching… obviously it was a joke, do no never get bored in this beautiful location! Da U Batti: located behind the Piazzetta charming it is specialized in seafood, expecially scampi! Da Puny: You can taste special and traditional dishes, the fish is fresh, pesto sauce is excellent and the antipasto della casa is an original mix of tasters such as onion flan or grilled pepper and anchovy. Hotel Splendido & Splendido Mare: the Hotel Splendido is a unique blend of beauty and comfort. A retreat suspended above the sea, with 69 rooms and suites. 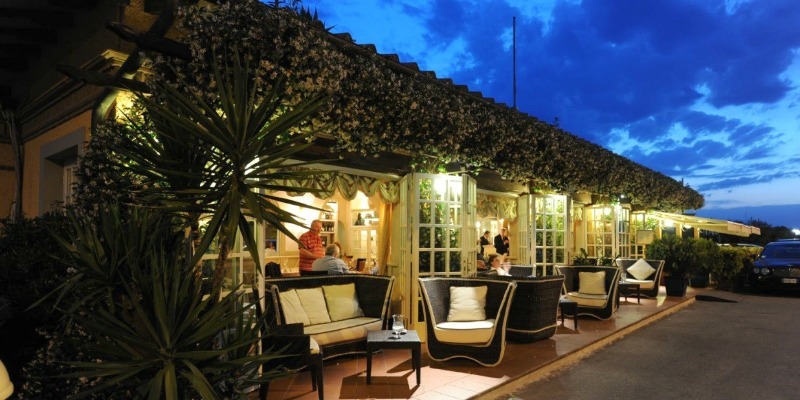 La Terrazza is its 5 stars restaurant, with special and delicious traditional food, forget the diet! Taormina, located in Sicily, is a special place where the climate is a dream, a gorgeous position, perfect panoramas, ancient monuments and luxurious flora and fauna admired in all around the world. Taormina had graduated to its status and became an exclusive, high-class haunt frequented by an array of artists and personalities. 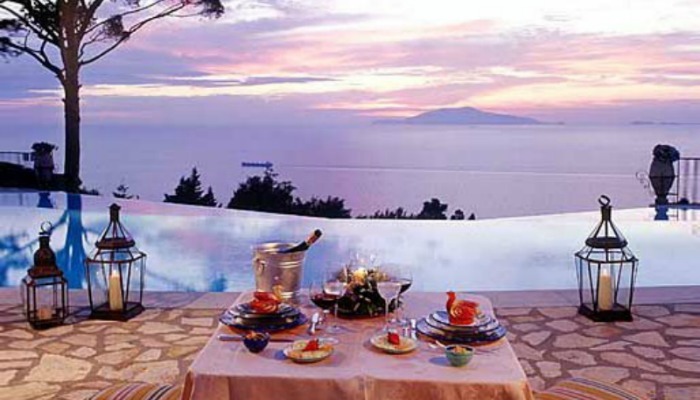 As an attractive and permanently-fashionable destination, Taormina is known as a glamorous place to stay. Taormina is famous for its history with the Greek theater which has summer performances. 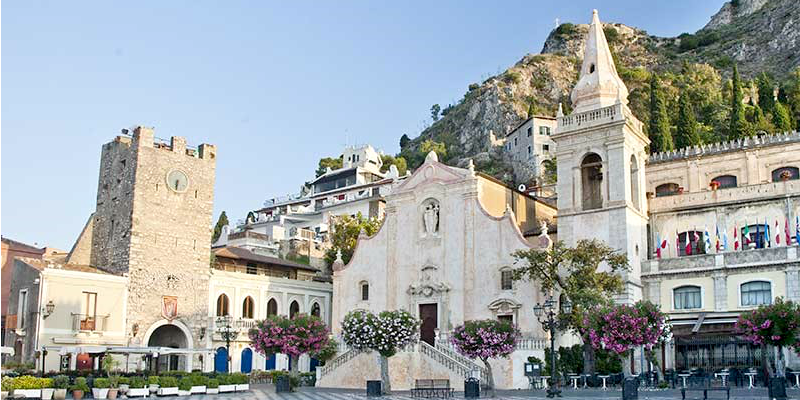 Taormina has also a medieval quarter, shopping, and beaches. Etna Volcano: making a visit to Europe’s largest Volcano is an amazing adventure! Villa Sant’ Andrea: Villa Sant’Andrea retains all the charm of a private residence. Located in one of Sicily’s most enchanting corner it is surroundedby a huge park. The major suite has looks out over the beach of a private beach . Bam Bar: It is not a restaurant but a typical Italian bar where you can taste a typical Sicilian breakfast: Granita (pistachio, almond, coffee the most traditioanl) plus brioche. Enjoy it! Maffei’s Restaurant: A little restaurant nestled in the winding side streets of Taormina centre, this restaurant could be easily missed by the unadventurous traveller! You can taste delicious seafood and don’t miss to try spaghetti with ricci di mare! 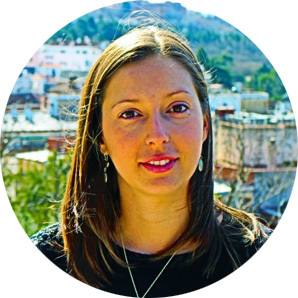 There are places in Sardinia where the sea is turquoise and is one with the sky, where the rocks seem to be made of gold, where the sand is as white as snow and as fine as flour. 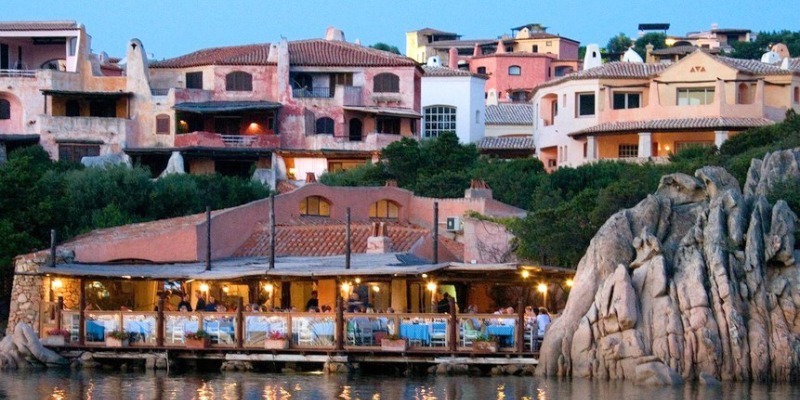 Where the scents of salt are combined and play with the scents of mastic, rosemary, cistus and gorse and where you can enjoy good wines and delicate foods such as nectar and by the strong flavors… this is Porto Cervo. 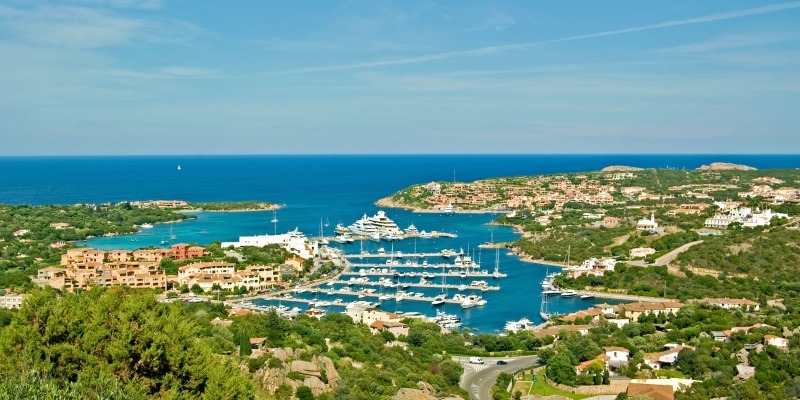 Porto Cervo is a fashion and luxurious resort that is built around a pretty little square (Piazzetta as well) from which elegant streets with the best shopping on the world’s most exclusive, prestigious jewelers and botique and some of the best restaurants. Porto certo is also hospitality, welcome and wilderness. Phi Beach: Parting at Phin Beach is a must! Romazzino Beach: the best beach of ever! 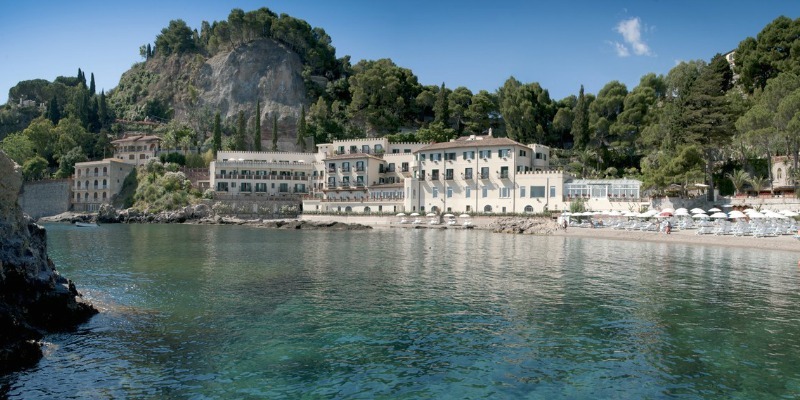 Hotel Pitrizza: a charming and luxurious 5 stars hotel. The hotel is made ​​up of villas, built between rocks and flowers, inserted harmoniously into the natural environment and overlooking the clear blue sea. A real paradise! Orange Beach: one of the most trendy lounge bar of Porto Cervo, for a relaxing day in the sun or a night out with friends! Among the most popular seaside resort of the Tyrrhenian Sea, Forte dei Marmi in now one of the best location for vip vacations. Sea, fun and culture are the three characteristics of Forte dei Marmi. Delightful tourist destination, near the sea and the heart of Versilia, Forte dei Marmi is really enchanting specially in summer, thanks to the beauty of the sea and magnificent background of Alps. Do not miss a lovely walk along the beach and the “corso”, which is a 5 Km long street in front of the sea, with many bars, restaurants, pal and oak trees to give some fresh shadow during the hot summery days. Forte Dei Marmi Flea Market: it is a shopper’s paradise! Grand hotel Imperiale: Surrounded by pine woods in Forte dei Marmi at this 5-star hotel offers luxury treatment, a relaxing atmosphere, a wellness center and a beautiful private beach. Bistro: serving excellent Italian food in a cool and elegant atmosphere. Fratellini’s: the best place to enjoy a typical Italian Summer happy hour! 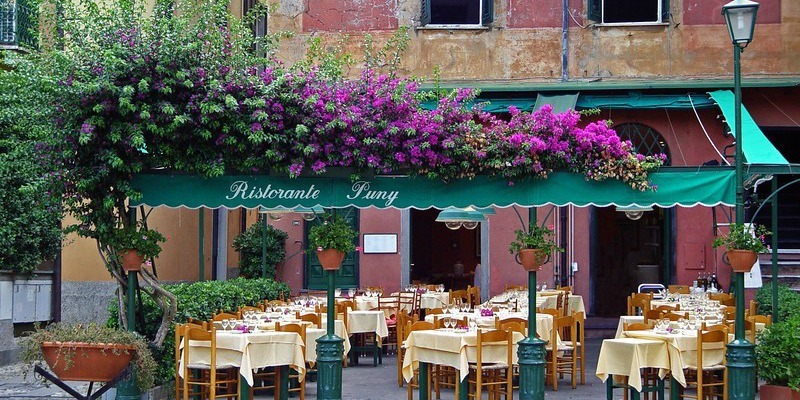 Have you been to any of these Italian charming places? What is your favorite secret corner in Italy? Thanks in advance for being kind and generous in your replies. Our travel community is simply incredible and that’s all because of you. Thank you for reading and sharing with us!